How can I add TAs or other users to my course? The enrollment of users will vary depending on what type of course it is, and the role you would like that user to have. This guide provides instructions on how to add a variety of users. These instructions are relevant to most courses in Brightspace. A credit-bearing course is one that awards credit and is found in the YES registration system. Per this policy, TAs must be added to courses by the Office of the University Registrar. Please contact your departmental administrator, who can submit the appropriate information to the URO to get your TA added to the course. It is strongly suggested that TAs be added before the semester begins. An Auditor is a student who needs to officially register for your course, have full student access, and have evidence that they were in your course. To add an Auditor, contact the Office of the University Registrar. A Guest Student is someone who will be participating informally and requires no evidence on their transcript. Guest students can only be granted access that restricts FERPA-sensitive information. 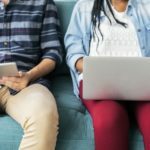 This restriction prevents them from seeing any content that has been contributed by students. 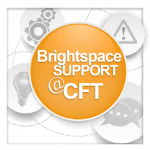 To add a Guest Student, contact Brightspace Support. You may wish to add a colleague to your course, so that they may observe unseen. This person would need the role of Designer. A Designer has Instructor access to a course, but will not appear on the Classlist. 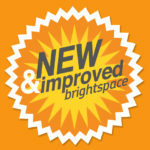 To add a Designer to your course, contact Brightspace Support. Adding a user to a non-SIS course is less common. This applies to Brightspace courses belonging to organizations, programs, cohorts, and other groups. These courses are not associated with Vanderbilt course credits. To learn more about courses not listed in Vanderbilt’s SIS, click here. 1) Go to the Classlist Tab. Click on Add Participants, and choose Add Existing Users. 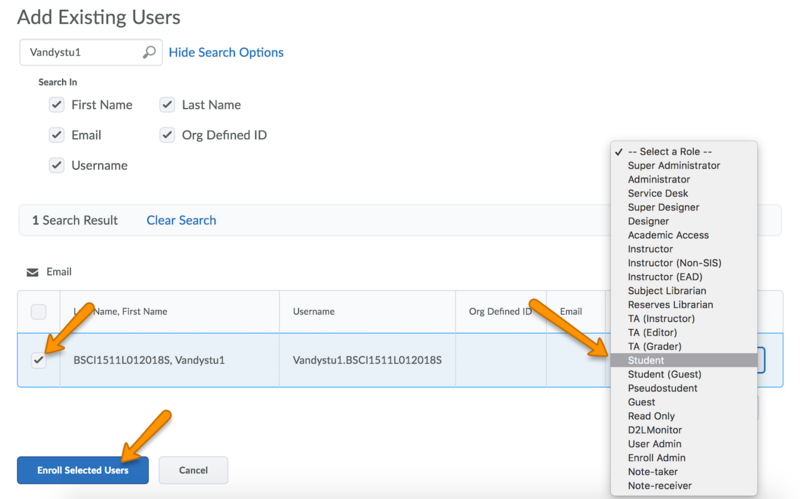 2) Enter a name, VUNet ID, or email address in the search field. Click the search icon. 3) Locate the correct person, and check the box to the left. Assign the person a role, and click Enroll Selected Users. You will be taken to a confirmation page.